SKU: 00032. 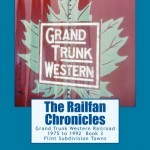 Categories: Passenger Trains, The Railfan Chronicles. 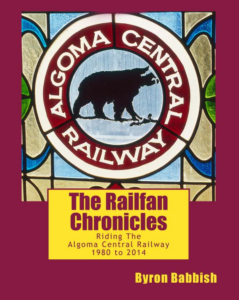 The Algoma Central Railway runs from Sault Ste. Marie, Ontario north 300 miles through the wilderness to the small lumbering town of Hearst, Ontario. In addition to freight trains, ACR also operates passenger trains. One, the Agawa Canyon Tour Train, goes to a beautiful canyon owned by the railroad 114 miles north of the Sault and the other, a “wilderness” train that stops anywhere along the line to pick up or let off local residents, campers and hunters, runs to the end of steel at Hearst. Join the author on ten trips riding The Route of the Black Bear from 1980 to 2014. 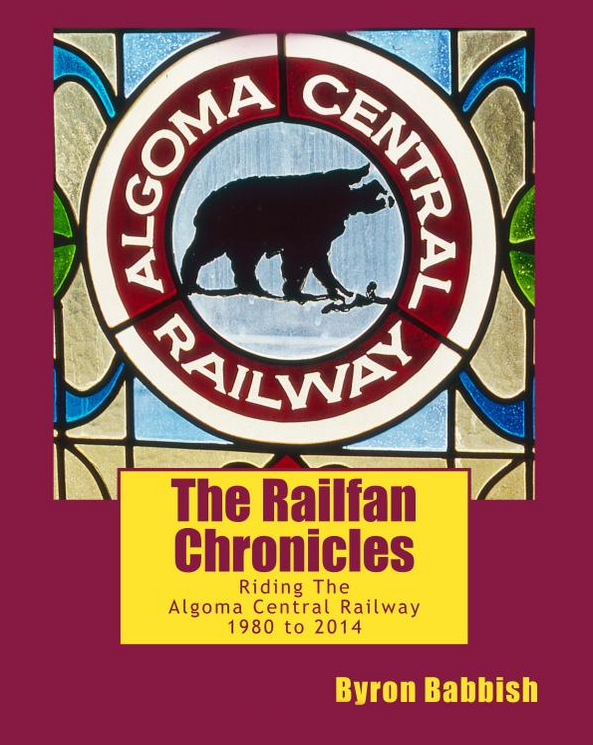 Trips on the Agawa Canyon Tour Train, the Local Train to Hearst, Snow Trains and fall colour trains, as well as riding these trains in a dome car and an old business car, are all covered in photographs taken by the author.